Trimming Trees and Bushes: What Time of Year is Best? It is alright to trim your trees and bushes at any time of year. If you need to trim them to give your home greater curb appeal in order to sell, you can feel good about simply going ahead. If you want to trim to improve the health of your shrubs and trees, after the leaves have fallen in autumn is the best time. This is also a more comfortable time for you to work, and it is easier to trim trees without leaves. When you give your bushes and trees a good trimming in the fall, you will see healthy growth and better fruit and flower production in the spring. In fact, the growth may be so abundant that you’ll need to do a spring trimming to get your yard in shape for the summer months. This should be a quick and easy job if you have done a thorough trim in the fall. 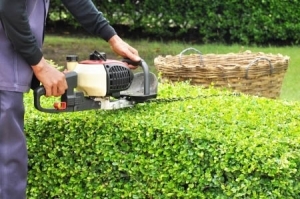 No matter when you trim your trees and bushes, always remember to be safe. Wear proper protective gear to prevent injury. Be sure to climb ladders safely and always have someone around to call for help in case of emergency. Know when to call in a pro! It’s fine for homeowners to tackle jobs like tree and shrub trimming around the yard, but if you have a large tree to fell or some other daunting task, be sure to call a pro! A professional tree and lawn care service can handle big jobs safely, and you may be able to get your insurance company to cover some of the costs.